The American Association of Woodturners (AAW) will celebrate its 30th Annual International Symposium from June 9 to 12, 2016 at Atlanta Convention Center in Georgia. The AAW has played a crucial role in the development of contemporary woodturning and wood art since 1986. 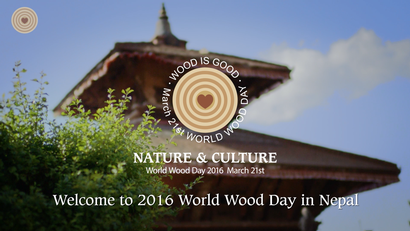 With the theme of “Nature & Culture,” the 2016 World Wood Day main event was successfully held in Kathmandu, Nepal. Please visit www.worldwoodday.org/2016 for more information about the annual celebration of World Wood Day. 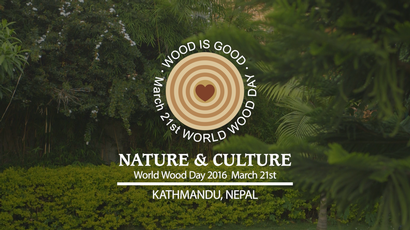 2016 World Wood Day main event will be held in Nepal on March 21st with the theme of “Nature & Culture.” The website for 2016 WWD is currently under construction, so please visit worldwoodday.org for more information about the annual celebration of World Wood Day. IWCS delegation is attending the XIV World Forestry Congress, a worldwide event gathering the world's forestry sectors every 6 years, in Durban, South Africa from 7 to 11 September 2015. The Congress, with the theme of “Forests and People: Investing in a Sustainable Future,” includes a wide variety of sessions, events, and dialogues. 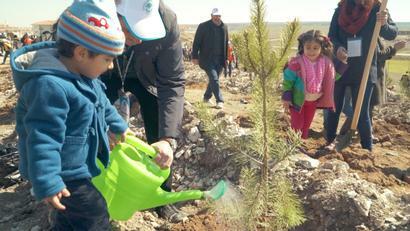 International Wood Culture Society and Odunpazari Municipality co-organized a tree planting event in Vadi?ehir, Eski?ehir March 22, 2015. Named “Peace Forest,” the site measures 35,000 square meters, witnessing 2,000 trees being planted that day. In addition to World Wood Day participants, local families also joined the event, with a hope to contribute to the sustainable development of Earth.